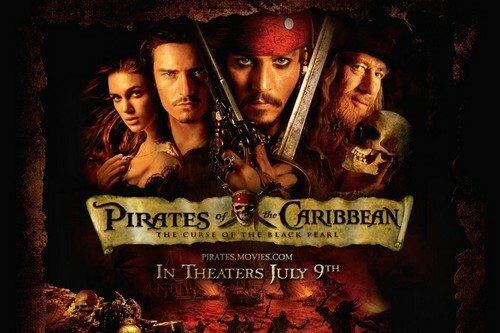 TPirates of Caribbean – Top 10 Highest Grossing Hollywood Movies. Pirates of the Caribbean: Dead Man’s Chest is a 2006 American adventure fantasy comedy film and the second film of the Pirates of the Caribbean series, following Pirates of the Caribbean: The Curse of the Black Pearl (2003). It was directed by Gore Verbinski, written by Ted Elliott and Terry Rossio, and produced by Jerry Bruckheimer. In the film, the marriage of Will Turner and Elizabeth Swann is interrupted by Lord Cutler Beckett, who wants Turner to acquire the compass of Captain Jack Sparrow in a bid to find the Dead Man’s Chest. Sparrow discovers his debt to Davy Jones is due. Dead Man’s Chest earned total $1,066,179,725. Worldwide, it ranks as the tenth highest grossing film. The Dark Knight Rises is a 2012 superhero film directed by Christopher Nolan. Featuring the DC Comics character Batman, the film is the final installment in Nolan’s Batman film trilogy, and it is the sequel to Batman Begins (2005) and The Dark Knight (2008). Christian Bale reprises the lead role of Bruce Wayne/Batman, with a returning cast of his allies: Michael Caine as Alfred Pennyworth, Gary Oldman as James Gordon, and Morgan Freeman as Lucius Fox. Drawn back into action by new threats facing the city, an older Bruce Wayne is forced to come out of retirement and become Batman once again. 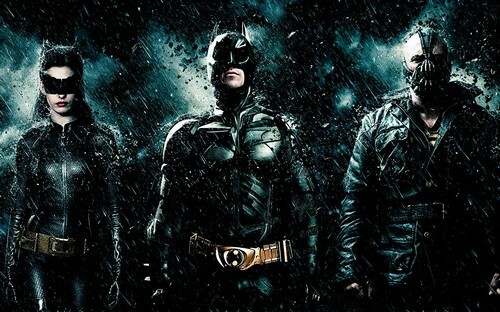 The Dark Knight Rises earned a worldwide total of $1,084,439,099. Worldwide, it is the nineth highest grossing film of all time. 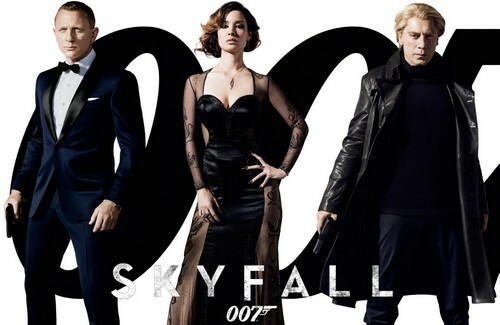 Skyfall is the twenty-third James Bond film produced by Eon Productions. It features Daniel Craig in his third performance as James Bond, and Javier Bardem as Raoul Silva, the film’s antagonist. The film was directed by Sam Mendes and written by Neal Purvis, Robert Wade and John Logan. The film centres on Bond investigating an attack on MI6; the attack is part of a plot by former MI6 operative Raoul Silva to humiliate, discredit and kill M as revenge against her for betraying him. The film sees the return of two recurring characters to the series after an absence of two films: Q, played by Ben Whishaw, and Eve Moneypenny, played by Naomie Harris. Skyfall is the last film of the series for Judi Dench, who played M, a role that she had played in the previous six films. The position is subsequently filled by Ralph Fiennes’ character, Gareth Mallory. Skyfall earned a worldwide total of $1,108,561,013. Worldwide, it is the 8th highest grossing film of all time. 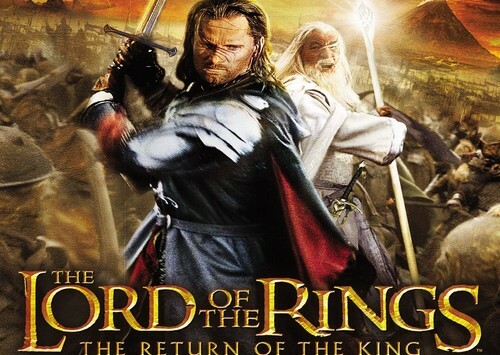 The Lord of the Rings: The Return of the King is a 2003 epic fantasy film directed by Peter Jackson based on the second and third volumes of J. R. R. Tolkien’s The Lord of the Rings. It is the concluding film in The Lord of the Rings film trilogy, following The Fellowship of the Ring (2001) and The Two Towers (2002). The film earned $1,119,929,521. Worldwide, it is the 7th highest grossing film. Transformers: Dark of the Moon is a 2011 American science fiction action film based on the Transformers toy line. 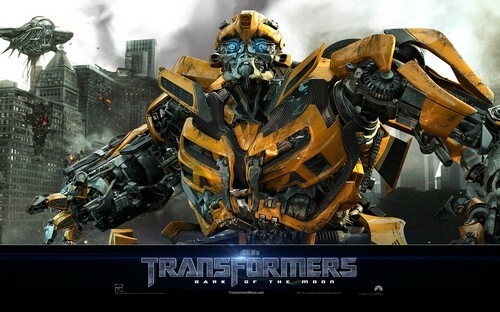 It is the third installment of the live-action Transformers film series. Like its predecessors, Transformers and Transformers: Revenge of the Fallen. It is directed by Michael Bay and executive produced by Steven Spielberg. The film’s story is set three years after the events of the second film, with the Auto-bots, during their collaboration with the NEST military force, discovering a hidden alien technology in possession of humans, which had been found by Apollo 11 on the Moon 42 years earlier. However, the Deceptions unveil a plan to use the technology to enslave humanity in order to bring back Cyber-tron, the home planet of the Transformers. The film earned $1,123,746,996. Worldwide, it is the 6th highest grossing film. Iron Man 3 is a 2013 American superhero film featuring the Marvel Comics character Iron Man, produced by Kevin Feige of Marvel Studios and distributed by Walt Disney Studios Motion Pictures. It is the sequel to 2008′s Iron Man and 2010′s Iron Man 2, and the seventh installment in the Marvel Cinematic Universe, being the first major release in the franchise since the crossover film The Avengers. The film earned $1,182,023,292 . Worldwide, it is the 5th highest grossing film. Harry Potter and the Deathly Hallows – Part 2 is a 2011 fantasy film directed by David Yates and distributed by Warner Bros. Pictures. It is the second of two cinematic parts based on the novel by J. K. Rowling. The film, which is the eighth and final instalment in the Harry Potter film series, was written by Steve Kloves and produced by David Heyman, David Barron, and Rowling. The story continues to follow Harry Potter’s quest to find and destroy Lord Voldemort’s Horcruxes. 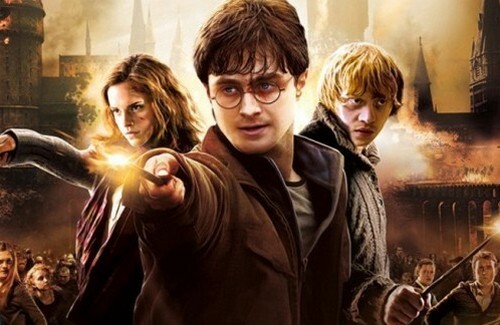 The film stars Daniel Radcliffe as Harry Potter, alongside Rupert Grint and Emma Watson as Harry’s best friends, Ron Weasley and Hermione Granger. The film earned $1,341,511,219. Worldwide, it is the 4th highest grossing film. Top 10 Highest Grossing Hollywood Movies. The Avengers, is a 2012 American superhero film produced by Marvel Studios and distributed by Walt Disney Studios Motion Pictures, based on the Marvel Comics superhero team of the same name. It is the sixth installment in the Marvel Cinematic Universe. The film is scripted and directed by Joss Whedon and features an ensemble cast including Robert Downey, Jr., Chris Evans, Mark Ruffalo, Chris Hemsworth, Scarlett Johansson, Jeremy Renner, Tom Hiddleston, Clark Gregg, Cobie Smulders, Stellan Skarsgård and Samuel L. Jackson. 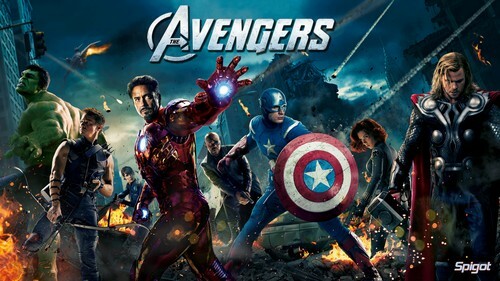 In the film, Nick Fury, director of the peacekeeping organization S.H.I.E.L.D., recruits Iron Man, Captain America, the Hulk, and Thor to form a team that must stop Thor’s adoptive brother Loki from subjugating Earth. The film earned $1,511,757,910. Worldwide, it is the 3rd highest grossing film. Titanic is a 1997 American epic romantic disaster film directed, written, co-produced, co-edited and partly financed by James Cameron. 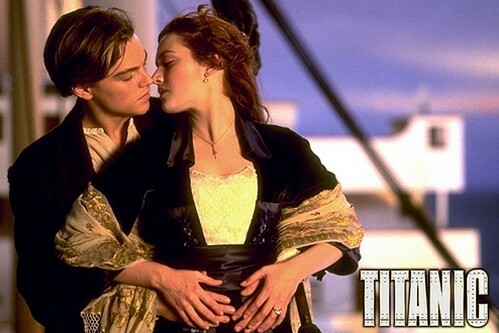 A fictionalized account of the sinking of the RMS Titanic, it stars Leonardo DiCaprio and Kate Winslet as members of different social classes who fall in love aboard the ship during its ill-fated maiden voyage. The film earned $2,185,372,302. Worldwide, it is the 2nd highest grossing film. Avatar is a 2009 American epic science fiction film written and directed by James Cameron, and starring Sam Worthington, Zoe Saldana, Stephen Lang, Michelle Rodriguez, Joel David Moore, Giovanni Ribisi and Sigourney Weaver. The film is set in the mid-22nd century, when humans are mining a precious mineral called unobtanium on Pandora, a lush habitable moon of a gas giant in the Alpha Centauri star system. The expansion of the mining colony threatens the continued existence of a local tribe of Na’vi – a humanoid species indigenous to Pandora. 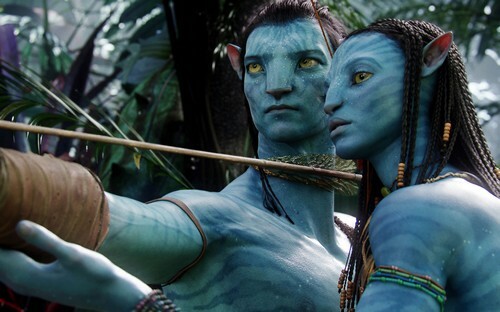 The film’s title refers to a genetically engineered Na’vi body with the mind of a remotely located human, and is used to interact with the natives of Pandora. The film earned $2,782,275,172. Worldwide, it is top highest grossing film ever.